A STUNNING RARE 1.5 TURBO 180BHP EXAMPLE finished in PEARLESCENT SONIC GREY with an ONLY 1 OWNER from new, FULL HONDA SERVICE HISTORY and an AMAZING SPECIFICATION including Touch screen Satellite Navigation system, Reversing camera, Front and rear parking sensors, Voice activated command system, DAB Radio, Integrated Bluetooth and WiFi system, USB and HDMI input Sockets, Driver information system with connected multifunctional steering wheel, Lane keeping assist system, Hill-Start Assist Control (HAC), Intelligent Adaptive Cruise Control Cruise control with speed limiter function, Collision Mitigation braking system (CMBS), Vehicle stability assist traction control system, 17inch Alloy wheels, Tyre Pressure Monitoring System (TPMS), Air conditioned dual zone climate control, Electric windows x 4, Electric power folding mirrors, Rear privacy glass, Automatic wipers, Automatic Xenon headlights, Front and rear foglights, Headlight washers, Power assisted steering, ABS, Driver airbag, Passenger airbag, Multiple side airbags, Remote central locking with Immobiliser + 2 remote keys, ISOFIX rear seating system, Adjustable steering column/wheel, Adjustable seats, Lumbar support, Front and rear head restraints, Front and rear armrests, Set of 4 fitted Honda floor Mats, Folding rear seats. 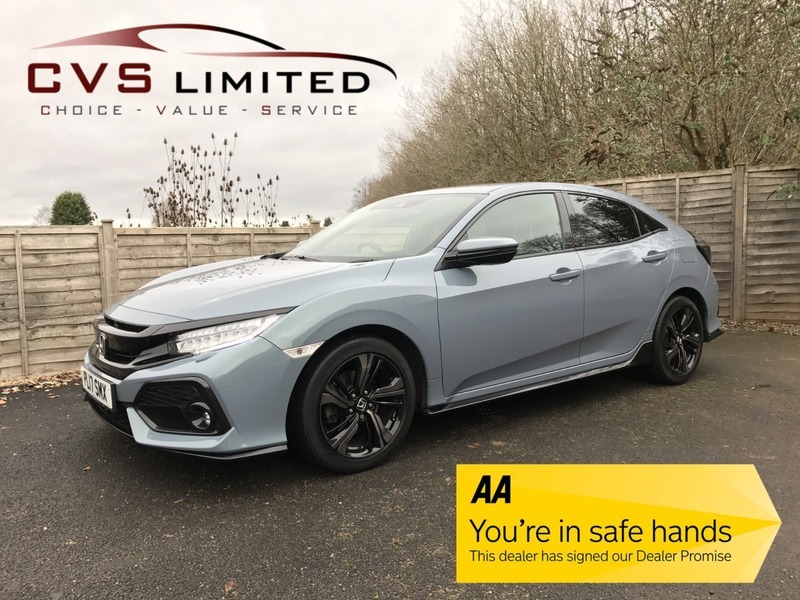 This stunning low mileage example is presented in EXCELLENT CONDITION and also benefits from the remainder of HONDA WARRANTY to 15th August 2020!! FREE 12 MONTHS AA BREAKDOWN COVER also available as well as very competitive FINANCE and PART EXCHANGE facilities. All our vehicles are HPI clear with a certificate provided. Appointments available 7 days a week. Please feel free to phone or email with any queries you may have or to arrange a viewing.